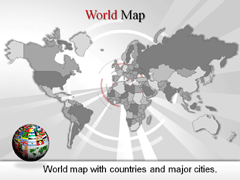 The world map with countries powerpoint maps are believed to have the potential of pinpointing a particular location anywhere in any country present round the globe. These geographical layouts of the world are intended to specify a particular country all over the world and also provide an elucidative geographical description of that particular topographical region. 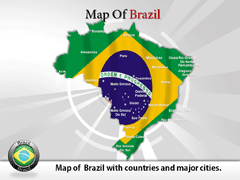 These world map with countries PPT maps offered by us are 100% editable powerpoint maps world map with countries which are intended to add professionalism to the presentations. The mild powerpoint map background world map with countries provide the viewers a better and illustrative view of your presentation through these highly customizable geographical layouts. 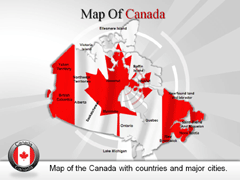 One can also add a zing to his/her presentation by embedding certain visuals, audios and graphics to these world map with countries PowerPoint maps while making presentations. This can also help the presenter to cope up with the complex situation of handling nervousness of speaking out in front of the audience. Select 'Paypal' or 'Secure Payment' to Pay and Download.